A membership for the whole family! 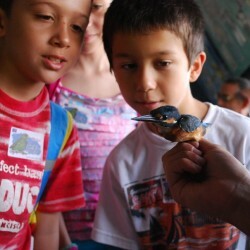 Become family members of BirdLife Malta and explore the outdoors together. Join our family events to discover wildlife in our nature reserves, sail among the seabirds on our summer boat trips, and take part in activities from bat watching to bug hunting. Adults will receive Bird’s Eye View magazine four times a year – with ideas for walks to go on and wildlife to look out for. Children will receive their own magazine, il-Ħuttafa, every two months – with fun nature facts, puzzles and activities to try. What’s more, your membership is helping to protect our nature and wildlife for future generations to enjoy.